There are twenty-five names on this Roll of Honour. 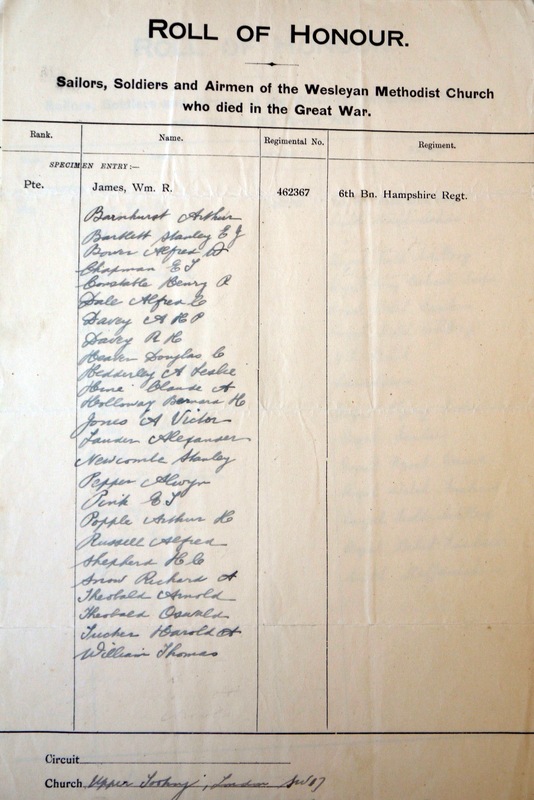 The church was destroyed during the Second World War, and none of these names appear on any known local memorial, so this list must stand as their memorial. 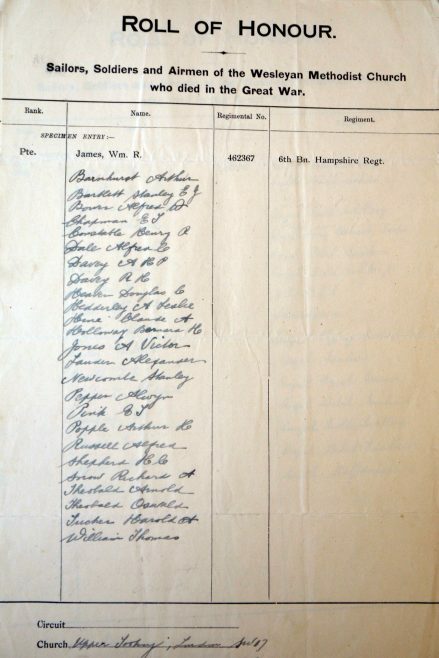 All but three men can be identified from Commonwealth War Graves Commission lists, and their dates of death are noted below.